Our unique service focuses on splitting your combo into an independent amp head and speaker cabinet. Tom was looking for a lighter, more compact mini amp to take on tour with his band River Jumpers. At the time he was using a series one Peavey 5150 this amp sounds great but it weighs a ton, particularly when it's in a flight case! Tom wanted a quality guitar amp that could easily fit in the van and be protected from the rest of the stage gear on tour. So we took the Orange Crush 35RT combo from the workshop and transformed it. Our custom amp box has a detachable lid, fixed with four easy to use latches. It's a super lightweight flight/travel case that protects the amp from over loaded tour vans and the inevitable rainy load in. This custom made Orange 35RT box makes use of laser precision fitting, 100% perfect fit dovetail joints, extra strong laser ply wood, tight fit chrome corner protectors, top and side handles, heavy duty feet, custom reliced vintage ebony water resistant finish and a 4Ohm 35Watt speaker cabinet output. Once this amp has been taken out of its tiny 10" speaker combo, it can be plugged into any guitar cabinet. This tiny amp sounds HUGE through a quality 4x12" cabinet and it stands up to any stage volume requirements. 35Watts goes a surprisingly long way! This price includes the original combo 1x10" Orange speaker cabinet, wired with an input jack. 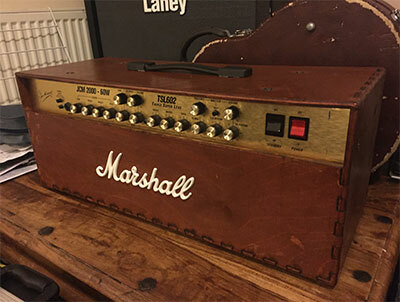 This Marshall JCM 2000 split project perfectly showcases our service. The customer loves this particular amp and always wanted to use it for live gigs, but, the combo was extremely heavy and was impractical to take to and from venues. Using our custom service, we built a new amp box and converted the old combo into a simple 2x12" cabinet. 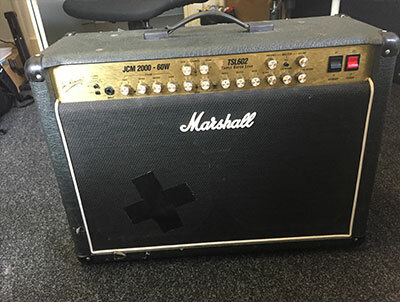 Customise your Marshall JCM 2000 for only £210. Use the form below to contact us about how we can split out your combo.